Rõuge Suurjärv lake in Võru County, Estonia. Destination Estonia, a virtual guide to the Baltic country on the southern coast of the Gulf of Finland, an arm of the Baltic Sea. 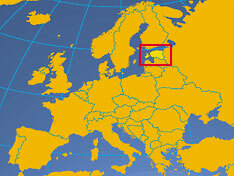 The Eastern European country is borded by Latvia and Russia, and shares maritime borders with Finland and Sweden. The former Soviet republic became independent in 1991. With an area of 45,227 km² the country is slightly larger than Denmark or slightly smaller than the U.S. states of New Hampshire and Vermont combined. Estonia has a population of 1.3 million people (in 2015). Capital and largest city is Tallinn, spoken languages are Estonian (a Finnic language; official), Russian and some Swedish and Finish. Eastern Europe country bordering the Baltic Sea and Gulf of Finland, between Latvia and Russia. As a result of centuries of Danish, Swedish, German, and Russian rule, the idea of an independent Estonian state had already been raised in the late 19th century and came true in 1918 when Estonia attained independence from the Russian Empire. Forcibly incorporated into the USSR in 1940, it regained its freedom in 1991, with the collapse of the Soviet Union. Since the last Russian troops left in 1994, Estonia has been free to promote economic and political ties with Western Europe. Since April 2004 Estonia is a member of NATO and member of the European Union since May 2004.
former: Estonian Soviet Socialist Republic. Constitution: On 28 June 1992 Estonians ratified a constitution based on the 1938 model, offering legal continuity to the Republic of Estonia prior to Soviet occupation. Location: Eastern Europe, bordering Gulf of Finland and the Baltic Sea, between Latvia and Russia. 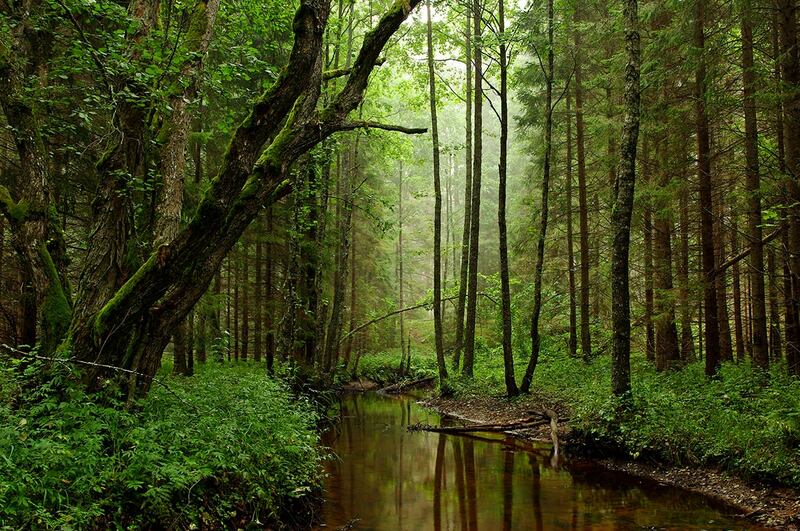 Terrain: Estonia is a green land, forests cover around half of the country. Flat, average elevation 50m. Steep limestone banks and 1 521 islands mark the coastline. Land use: 9.5% arable land, 47,4% forest and woodland, 22% swamps and bogs, 21.5% other. Coastal waters are somewhat polluted. Climate: Temperate, with four seasons of near-equal length. Ethnic groups: Estonians 65%, Russians 28%, Ukrainians 2.5%, Belarusians 1.4%, Finns 0.9%, other 2.2%. Religions: Lutheran, the Estonian Apostolic Orthodox, subordinated to Constantinople, the Estonian Orthodox, subordinated to the Moscow Patriarchate, Baptist. Languages: Estonian (eesti keel), Russian, Ukrainian, Finnish. Natural resources: Oil shale, phosphorite, limestone, blue clay. Agriculture products: Potatoes, vegetables; livestock and dairy products; fish. Industries: Engineering, electronics, wood and wood products, textile; information technology, telecommunications. Key statistical data of Estonia. 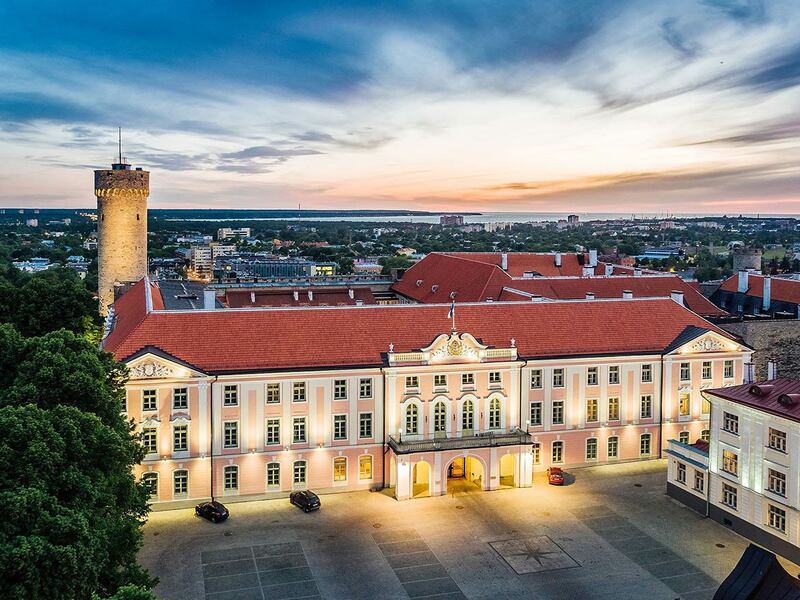 The Parliament of Estonia resides in Toompea Castle in the central part of Tallinn, the Baroque style wing of the ancient stronghold was built in 1767-1773. The political system of Estonia is that of a Parliamentary Democracy. Chief of state is the president, head of government is the prime minister. The legislation body is the unicameral parliament of Estonia, the Riigikogu. The parliament appoints the Prime Minister (nominated by the president), the Chief Justice of the Supreme Court (proposed by the president), and it elects the President. 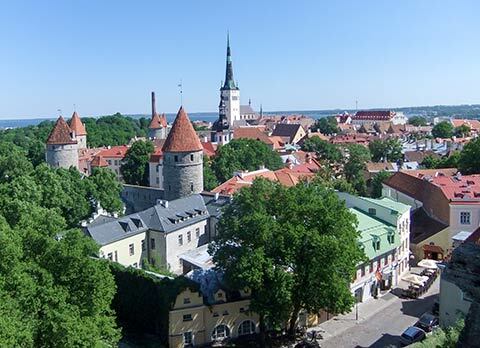 Estonia is a since 1 May 2004 a member state of the European Union (EU). The Precidency of Estonia, Arnold Rüütel's Office. The official gateway to Estonia. Information on the Estonian State. Estonian Ministry of Foreign Affairs. The Estonian Embassy in London. Address List of Estonia's Diplomatic Missions Abroad. Address List of Foreign Missions accredited to Estonia. Searchable map and satellite view of Estonia. Searchable map and satellite view of Tallinn. Political map of the Baltic States. Baltic and Estonian News (in Estonian). A guide to Estonian cultural events. The Estonian Literary Museum, the central archive of Estonian literature and folklore. The Estonian National Museum - Estonian heritage and culture, founded in 1909. Estonian contemporary visual arts portal (partly in English). The Central Bank of the Republic of Estonia. Common index and blue chip list of the exchanges of Tallinn (Estonia), Riga (Latvia), and Lithuania. Estonian Investment Agency's website created for foreign investors looking for investment opportunities in Estonia. The Estonian Chamber of Commerce and Industry was re-established in 1989, today it is the largest business representation organization in the country. The Estonian national airline, with destinations in north- and central Europe and west Russia. Estonia's principal airport with flight schedules, arrival & departure information and other travel services (in Estonian). Tallinn Passenger Port is the main passenger harbour in Tallinn. Regular ferry lines serve routes to Helsinki (Finland), Stockholm (Sweden) and St. Petersburg (Russia). View of Tallinn Old Town with the Walls of Tallinn and St. Olaf's Church in background, the tallest building in the world from 1549 to 1625. Discover Estonia: Baltic Sea, Hiiumaa, Kihnu, Tallinn, Narva, Tartu, Saaremaa, Setomaa, Lahemaa National Park, Lake Peipsi. Accommodation, hotels, attractions, festivals, events, tourist boards, biking, hiking, cruising, tours and much more. The official tourism homepage of the Estonian Tourist Board. Introduction to nature and cultural tours. 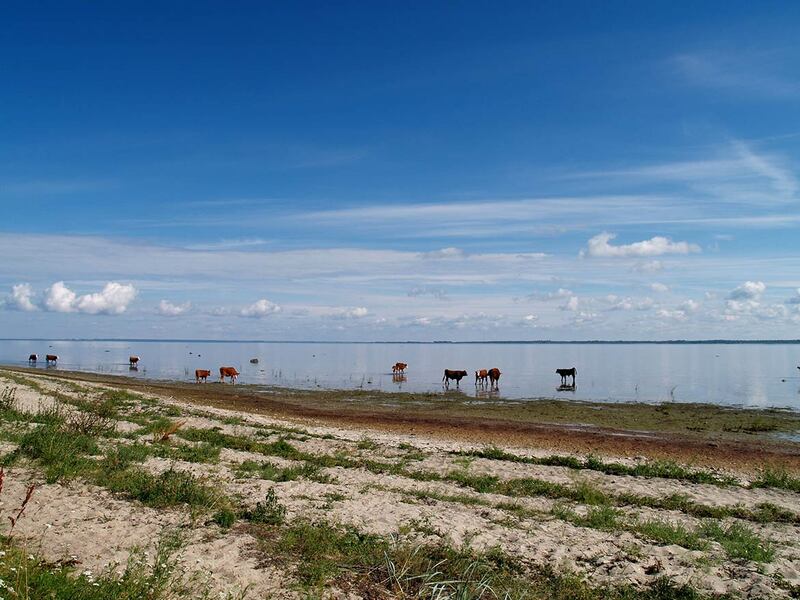 A guide to Estonia by the Estonian Rural Tourism Association. Estonia image gallery (in Estonian). An island in the Baltic Sea. Forests, beaches, marshes and moorland and a rich archaeological history. Europe's fifth largest stretch of fresh water. The island of Saaremaa is the second largest in the Baltic Sea. The historical and ethnical province of the Seto people in Estonia. Offers a compact and systematic overview of Estonian society, culture, history, nature, education, science, state administration and economy. The city of Tallinn, capital of Estonia. The city of Narva at the border to Russia.. The university city of Tartu. 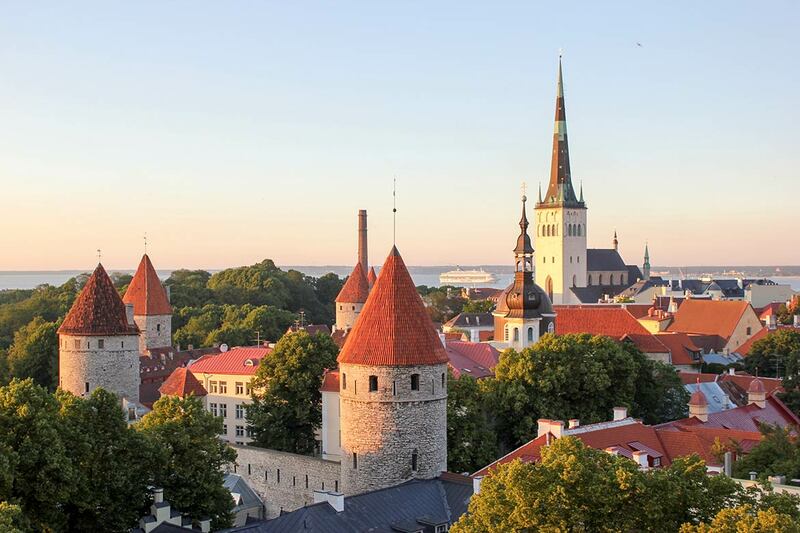 The "Summer Capital of Estonia". The Hanseatic town of Viljandi. Kesselaid, an islet located between Estonia's mainland and the island of Muhu in the Suur väin (Big Strait). The Estonian Institute of Humanities, an independent university established in 1988. The Estonian Institute provides information material on Estonia, its culture and traditions. The National Library of Estonia - The custodian of Estonias national memory and heritage. Estonian Academy of Sciences, develop and represent Estonian science. The former Tallinn Applied Art School, founded in 1914. The Tallinn Technical University, founded in 1918 as an Estonian technical institution. 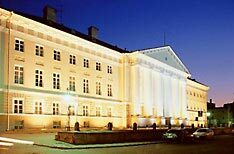 The University of Tartu, largest and oldest university in Estonia, established in 1632. An Estonian national program to increase Estonian school education quality utilizing modern information and communication technology. Tarvasjõgi river in Kõrvemaa, a Nature Park between the Harju valley and the Pandivere Upland in Estonia. ELF is non-governmental and independent nature protection organization, established in 1991. One of the first environmental NGOs in Estonia. From middle age to Estonias independence in 1991. Comprehensive information on Estonia's History by the Estonian Ministry of Foreign Affairs. Wikipedia articles about the country's history. Actually, it's impossible to simulate freedom --- or?